Omega Seamaster Diver- the master sports' watch for women who like a little more from their timepiece. Water resistant to 300M, this stainless steel watch features a durable domed, scratch-resistant sapphire crystal face. With quartz precision movement. 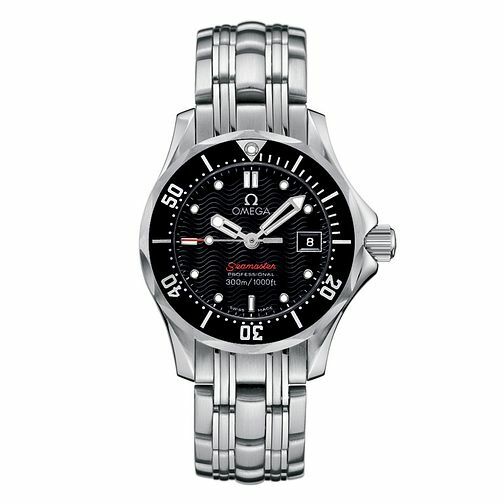 Omega Seamaster Diver 300M ladies' bracelet watch is rated 5.0 out of 5 by 1.